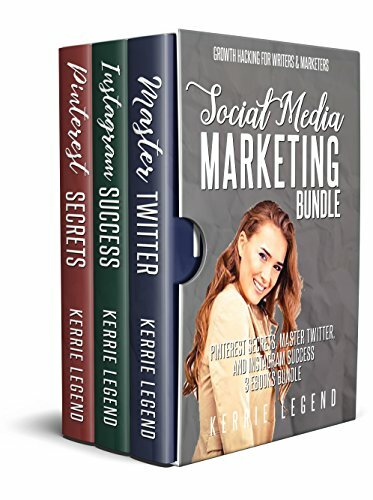 Get three books with this bundle and save $5 off of regular listings. Don’t spend hundreds of dollars taking a webinar class to learn Pinterest. This book blows the lid off of those $397 classes! So read this book instead – you’ll be so glad to have all the material presented in one place, and learn the same information right here. Infinitely grow your traffic and email list with your new secret weapon: Pinterest. What if your blog or business attracted droves of engaged fans, increased your income like whoa, and gave you the time and independence to enjoy your dream life? Here’s a secret: It can. Frustrated by all the conflicting information. You’re sick of wasting time trying to research how to make your blog bloom. You keep hearing the same outdated, lame-sauce advice. You want something that will work NOW (not in 2009). Sick of working at a job that doesn’t fulfill your true purpose. You spend 9-5 thinking about your creative passion, wishing your blog, business or writing was your day job instead. Did you raise your hand to any (or all) of the above? Good. You are SO in the right spot. Turn your blog into your full-time career. You’ve achieved what most people aren’t willing to do: start your own successful business by leveraging your new audience and potential. Get this, bud — you can achieve ALL of this success by simply using Pinterest more strategically.